Dr. Bender received her degree from the University of Pennsylvania in 1998 and continued on to complete a General Practice Residency in Dentistry at Mount Sinai Medical Center in Miami Beach. 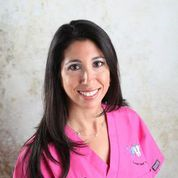 Dr. Bender received her training in Pediatric Dentistry at the University of Florida, Shands Hospital Gainesville. This two-year training program included one-year clinical rotation at Miami Children’s Hospital. Dr. Bender remains a Clinical Associate Professor at the University of Florida, College of Dentistry.